From our field to your family. Michigan Asparagus has excellent flavor and a long shelf life. It is a nutrient-dense, low-calorie vegetable with no fat, no cholesterol, and very little sodium. Approximately 120 local Michigan farmers produce approximately 20 million pounds of Michigan Asparagus during the state's 6-7 week harvest. The season begins in early May and ends in mid-to-late June. Michigan ranks second in the nation for asparagus production thanks to its unique, sandy loam soil. This particular soil, found most often near Michigan's west coast, is dominated by sand particles, but also contains enough clay and sediment to provide structure and fertility. Discover the health and nutritional benefits of eating Michigan Asparagus. Explore healthy, comforting, and sometimes over-the-top recipes that will impress those you love. 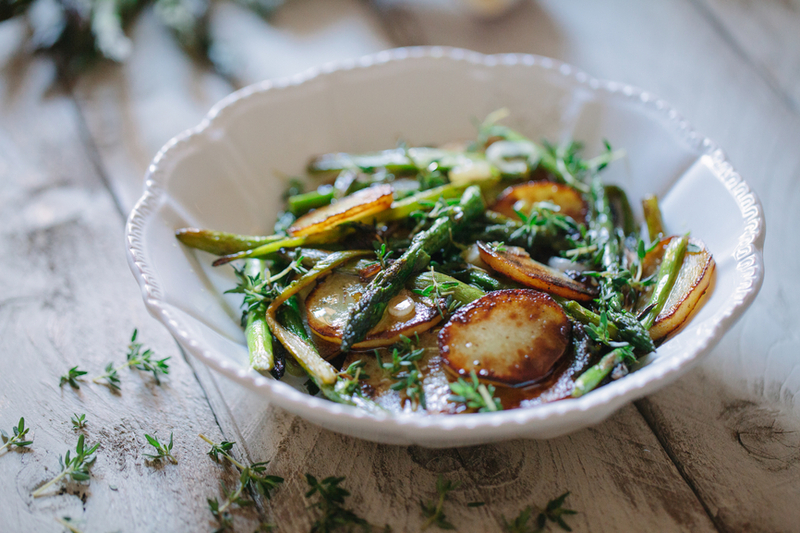 Learn how to steam, bake, grill, roast, boil, microwave, fry, and can Michigan Asparagus. Grown by Michigan farmers, sold fresh in food stores and farm stands throughout the Midwest. 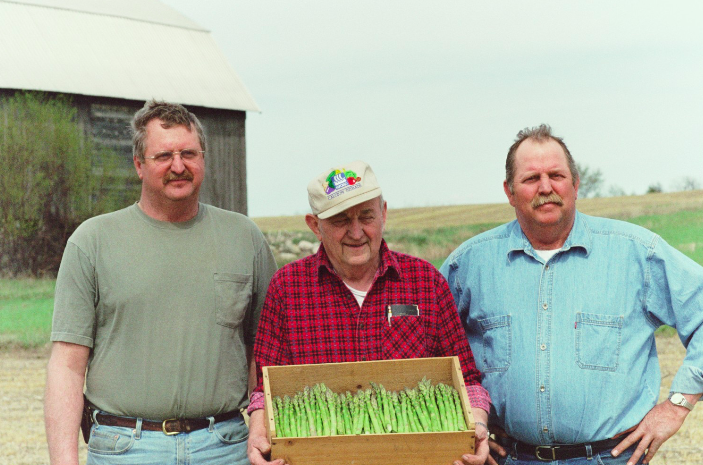 Oceana County, located near Hart and Shelby, Michigan, is known as the "asparagus capital of the world," though Michigan Asparagus farmers are located throughout the whole of Michigan. 120 Michigan families harvest nearly 9,500 acres of land annually, yielding approximately 2,100 pounds of Michigan Asparagus per acre. 40 percent of their harvest is sold fresh through May and June in local grocery stores, restaurants, farmer's markets, and at roadside markets. The remainder is sold to processors who freeze or can the product for distribution throughout the United States. Oceana County is also home to the National Asparagus Festival, which includes a parade and crowning of the Asparagus Queen. A nutrient-dense "CLEAN 15" food. Michigan Asparagus is a "Clean 15" food, meaning it has a low pesticide load and is one of the safest conventionally grown crops to consume. According to Dr. Andrew Weil, asparagus is a food that does not need to be purchased organic. This is due asparagus' short - and early - harvest season. Michigan Asparagus is a well-balanced vegetable that supplies a wide array of nutrients. It is considered a good source of potassium, fiber, thiamin, and vitamin B6. It has very little sodium and is also a rich source of rutin, a compound that strengthens capillary walls. Michigan Asparagus is an excellent source of folate. A 5.3 ounce serving has only 20 calories and provides 60 percent of the recommended daily allowance for folacin, which is necessary for blood cell formation, growth, and prevention of liver disease. It has also been shown to play a significant role in the prevention of neural tube defects such as spina bifida.